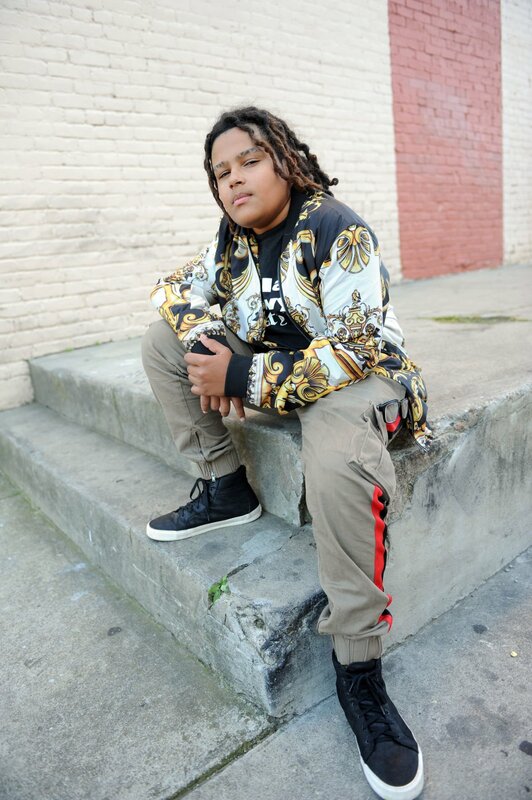 At the ripe age of 13, Julius Bennett — also as known as Bud Bud Awesome — is preparing to launch his second album next week. The album, titled “Glow,” is expected to drop on SoundCloud, Spotify, and Apple Music. The songs on this album touch on topics facing today's youth, like depression, bullying and injustice. As a young man and artist, Bennett uses music to express his emotions and feelings regarding these issues. “We focused on spreading positivity and sending love to people. I want people to know that they are not alone,” Bennett said. 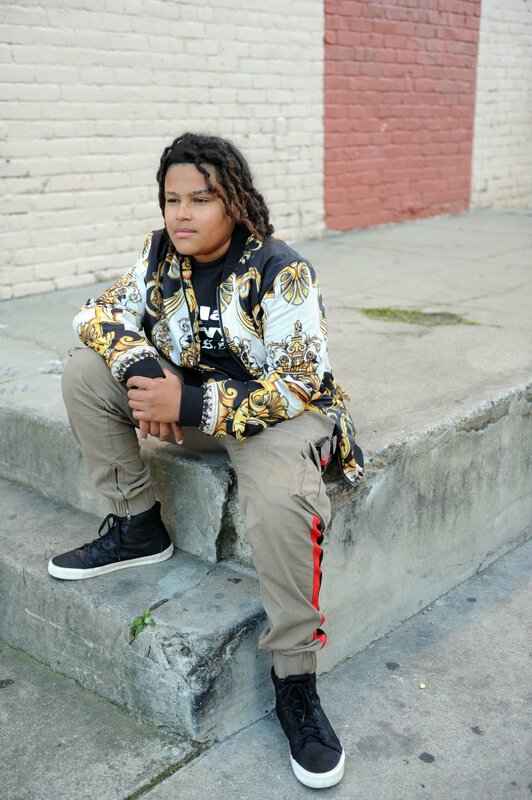 Despite his age, Bennett says his inspiration to write and record music stems from his influences in the community and his father Dejon Bennett, who in the early 1990s moved to San Jose and recorded music under the rap name Playdo before returning with his family to Stockton in 2002. After leaving the music industry, Dejon did not expect to be back in the scene but that changed after his son developed a skill set and devotion for writing music. “He started writing music and I let him record a song with my nephew, but I figured it was just a phase and he would grow out of it,” Dejon said. But after two albums and 30 videos, he has learned that his son’s desire to make it in the music industry is unwavering, noting that Julius is ambitious and fearless in pursing his dreams. However, Dejon has encouraged his son to remain focused on his education. “I don’t want to deter him if this is what he really wants but I would really like him to focus on something with a stronger foundation,” Dejon said. Although he enjoys learning about marine life, he is still focused on a career as a rapper. “I want to be like Juice WRLD and Kendrick Lamar. I want to sell out stadiums and shows,” Julius said. Given the desire to be successful, Julius knows it is not all glitz and glamour. He has had to sacrifice his time and energy to hone his craft and evolve as an artist. “Recording and making music videos takes a lot of effort and energy because you have to do things over and over again,” Julius said. “It becomes hard work and he gets lazy and acts like a kid, but he has learned that to make it he has to work hard,” Dejon said. The hard work and dedication are starting to pay off. With over 100,000 views and downloads on music platforms, Julius has grabbed the attention of music producers at Atlantic Records. His talent has also garnered attention from established rapper Joseph Edgar Foreman, also known by his stage name Afroman, who has collaborated and recorded tracks with Julius. “Afroman is a really cool guy,” Julius said. Julius will also be starring in a mini-series called the “American Dream,” which is set to air on Amazon video. “I am going to be playing the main character’s son,” Julius said. As Julius’ career begins to take off, Dejon remains guarded over the nature of the film and music industry. “I had a record deal in the ’90s, and I remember how cutthroat and ugly it is. But understanding the nature of the beast kind of gives me an edge and helps me protect my son,” Dejon said. The two have written a few songs on the “Glow” album, but Dejon is focused on Julius finding his sound and voice in his rhymes.